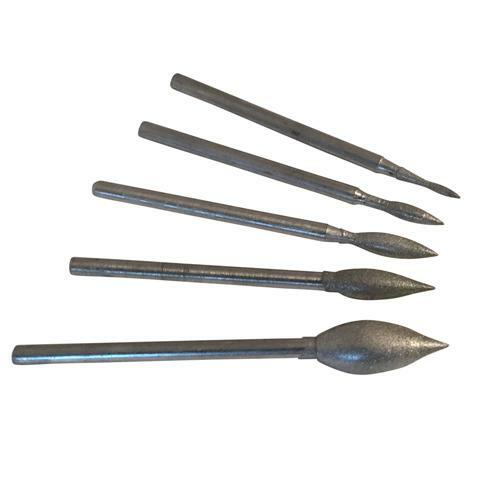 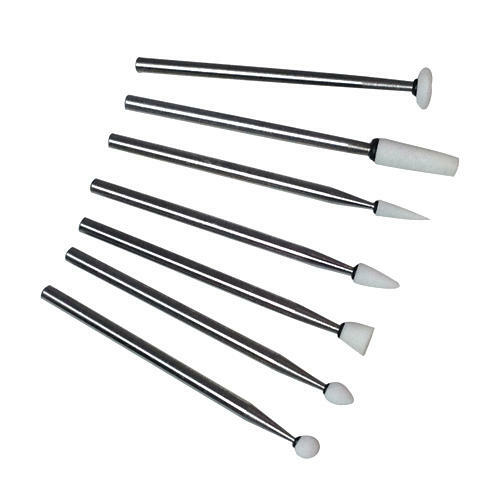 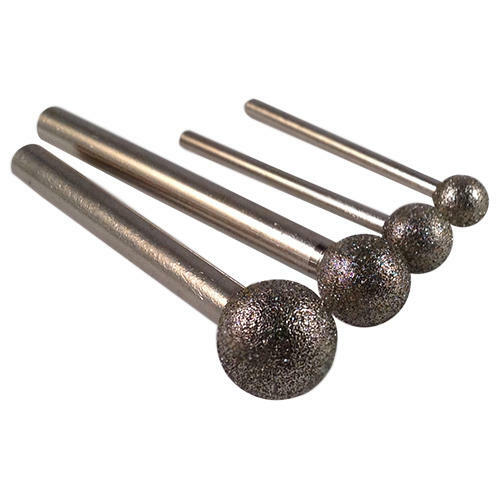 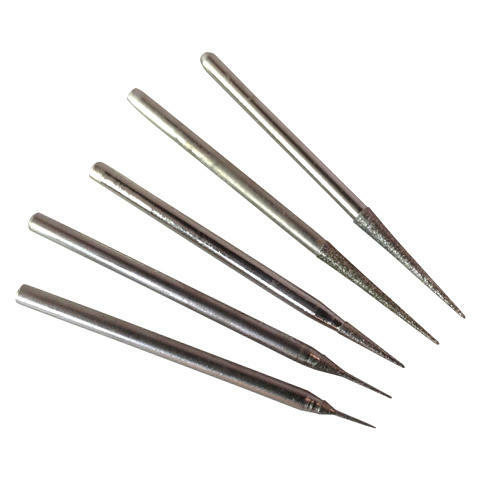 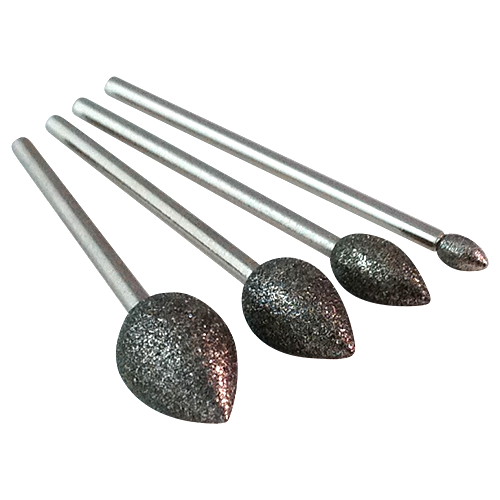 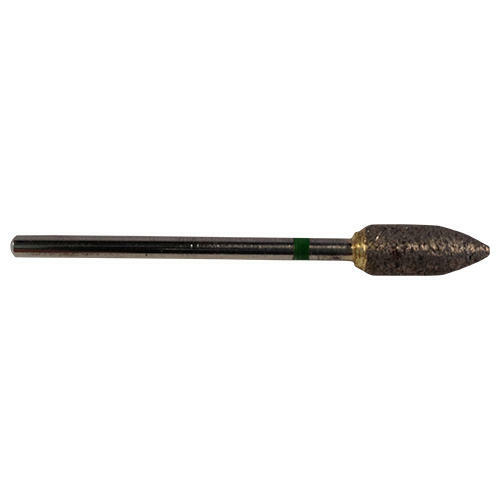 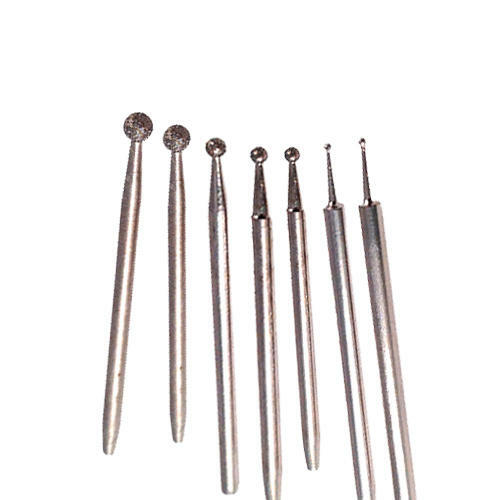 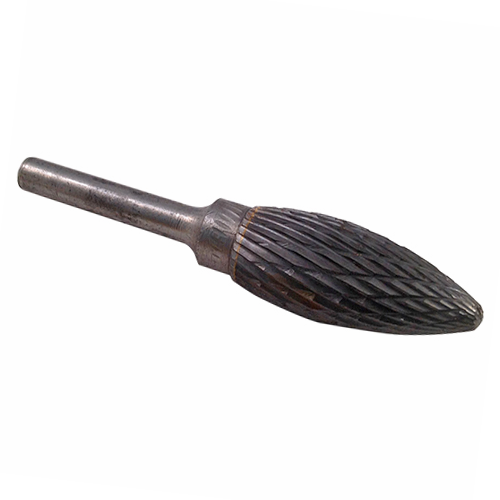 These popular Flame, or teardrop shaped, medium (120#) diamond coated burs can be used on many materials such as glass, stone, hard wood, ceramic, shell and porcelain. 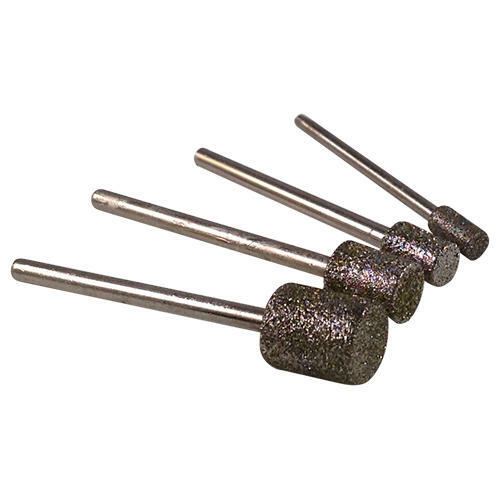 To get the best life and usage out of your burrs use with a little water before or during use. 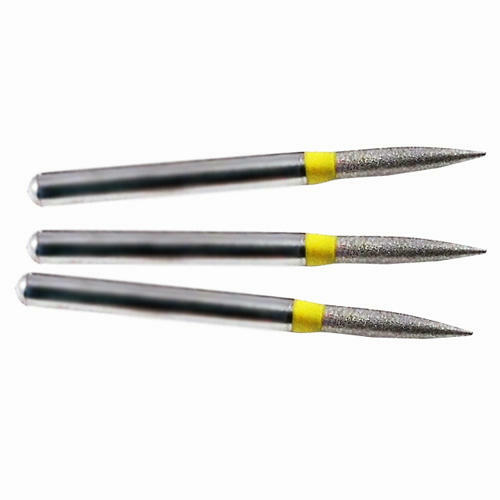 Use the tip for fine detailing or creating concave cuts, and the sides to gouge out and shape. 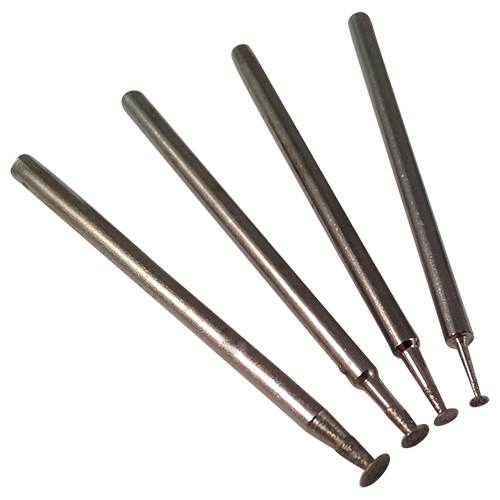 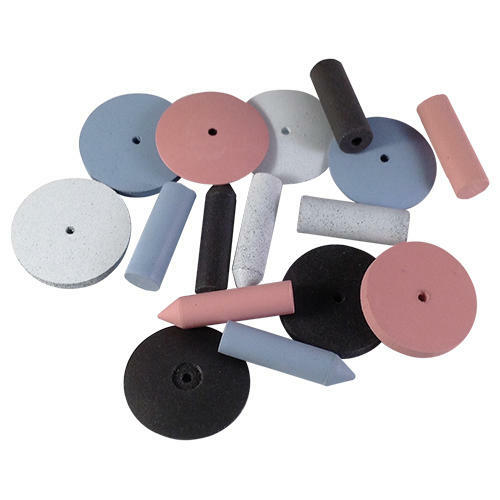 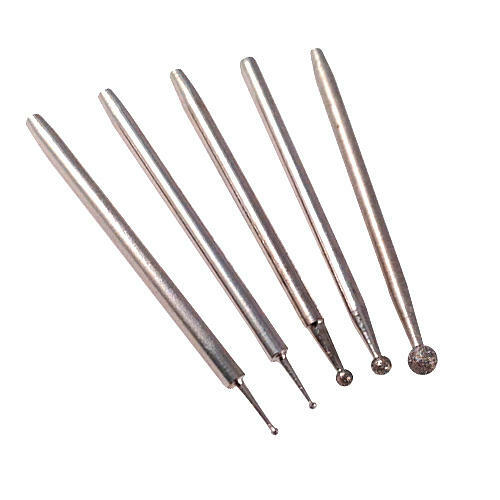 Can be used in any rotary tool such as a Dremel, Foredom or Proxxon, flexible shaft hand piece, pendant drill or micro motor. 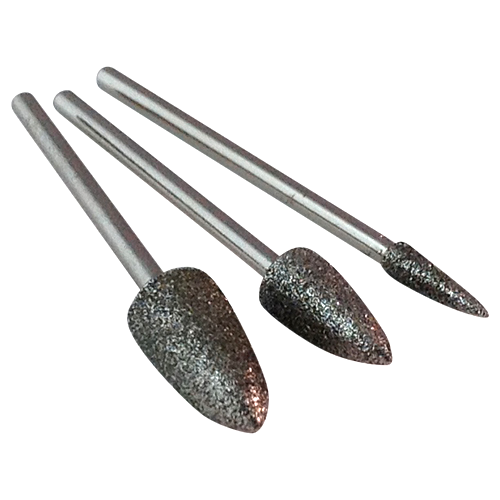 Always wear sufficient safety goggles and face mask and be careful to not exceed a drill speed of 12,000rpm.